48401 Features: -Bell shaped style. -Simple linear cuts. -Tall graceful stopper. -750 ml capacity. Craftsmanship: -Machine Made Decanters. Material: -Lead Crystal. Capacity: -Greater Than 20 Oz. 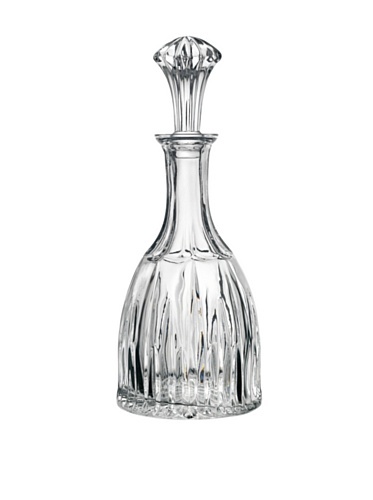 Stopper: -Crystal Stopper. Dishwasher Safe: -Yes. Style: -Bell. Dimensions: Overall Height - Top to Bottom: -11.8 Inches. Overall Width - Side to Side: -4.72 Inches. Overall Depth - Front to Back: -4.72 Inches. Overall Product Weight: -3.8 Pounds.